4 pack Hand-held Pencil Sharpener, Round. Styles may vary. 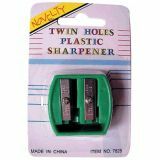 Two hole plastic sharpener sharpens standard and jumbo size pencils. Features receptacle for pencil shavings. One hole plastic pencil sharpener with cone feature receptacle for pencil shavings. 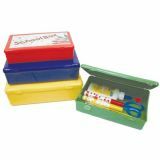 Two hole plastic sharpener sharpens standard and jumbo size pencils. 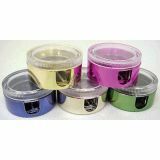 Strong flexible plastic box holds all your favorite desk accessories. This classic pencil sharpener is made with all metal blade and casing. 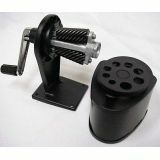 This classic two hole pencil sharpener is made with all metal blade and casing. 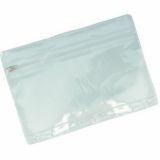 Clear vinyl binder pouch fits 3 or 5 ring binders. Ziploc style closure keeps sontents securely inside. Clear plastic construction allows easy viewing of contents. 10" x 7". Two hole pencil sharpener. Carbon steel blade that sharpens standard and primary size pencils.